According to a report from The Texas Observer the Human Rights Campaign says it’s probably not going to help defend the embattled Equal Rights Ordinance. ordinance recently passed in Plano, TX because according to HRC it’s transphobic citing that an exemption that would bar trans individuals from using restrooms, according to their gender identity but would provide protections for them and LGBT citizens in the area of housing and employment discrimination. “The language in Plano is very problematic and in terms of investing a lot of resources in an ordinance that has a lot of problems, it’s difficult to see why that’s necessarily the best use of resources. If we had been consulted in the drafting of this bill, we would have withdrawn our support, and given that, it’s hard to justify defending it as valid. .. This week, opponents of the ordinance turned in over 7,000 signatures on petitions to repeal it — more than double the number needed to put it on the ballot. Equality Texas a local LGBT group say they’ll defend the ordinance without HRC’s help despite the “bathroom exemption” because it is a step in the right direction. 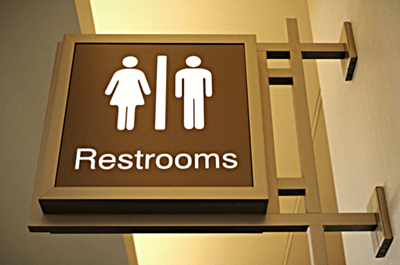 The bathroom issue will always be touchy for many hetro-normative people. Is HRC making the right decision not helping to fight for this EO that would help all LGBT citizens in Plano, Texas from being discriminated against for housing and employment because the trans community would not be able to use the restrooms of their current gender status? As what happens often with the HRC, they miss good opportunities. So, let’s show our support to Equality Texas!